A mere 24 hours after the first official photo of Angelina Jolie as Disney villainess Maleficent first came to light, a few shots from the film’s set have surfaced. In them we see Jolie, in her sorceress costume, chatting with crew members and milling around with some of her horned brethren. Disney has described the film as “the untold story of Disney’s most beloved villain, Maleficent, from the 1959 classic Sleeping Beauty. The film reveals the events that hardened her heart and drove her to curse the baby, Aurora.” For more on the project as well as the pics, hit the jump. 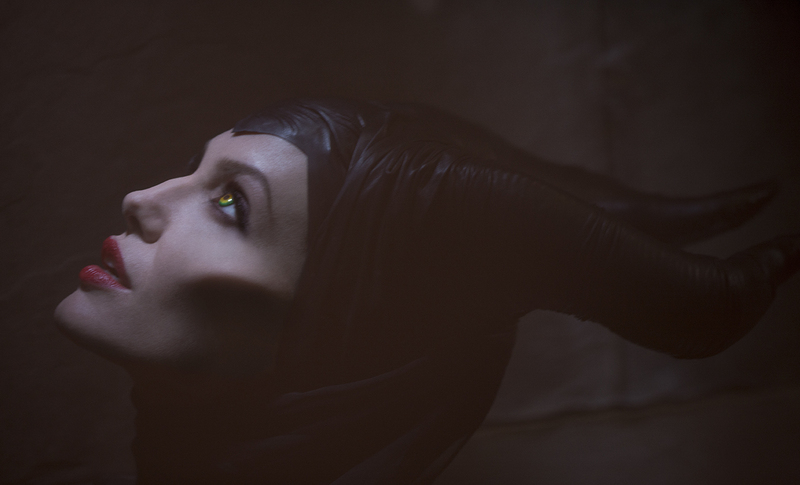 Maleficent began filming in England last week and is due out in 3D on March 14, 2014 (so, quite a long way off). Elle Fanning will star as the unlucky child Aurora, and joins a stellar cast that includes Sharlto Copley (District 9), Sam Riley (On the Road), Imelda Staunton (Harry Potter and the Order of the Phoenix), Miranda Richardson (Sleepy Hollow), Juno Temple (Atonement) and Lesley Manville (Secrets & Lies).